Sedation dentistry is the practice of using specialized medications to relax patients and block their pain levels during dental procedures. Depending on the patient and procedure, there are different levels of sedation that can be used to obtain the desired results. Although sedation dentistry is sometimes called “sleep dentistry”, patients are usually able to remain conscious or can be easily awakened during treatment. Inhalation Sedation: Nitrous oxide, or “laughing gas”, will be inhaled through a special mask that fits over your nose. Inhaled sedation is used to obtain minimal to moderate sedation. Oral Sedation: A Halcion pill will be taken about an hour before your procedure. Oral sedation is used to achieve minimal to moderate sedation, depending on the dosage. IV Sedation: Sedation medication will be delivered directly through your vein and will offer sedation levels deeper than those of inhaled or oral sedation. Nitrous oxide was originally discovered in the 1770s and was primarily used for public entertainment since its users became giggly under its influence. This is how it earned the nickname “laughing gas”. Nitrous oxide wasn’t regularly used for dental applications until the 1960s. You may want to consider sedation dentistry if you have a low tolerance for pain, trouble sitting still, very sensitive teeth, an over reactive gag reflex, or need a large amount of dental work at one time. To find out if sedation dentistry is an ideal option for you, schedule a consultation with our dentists at Sunset Dental Group today! Sedation dentistry is considered to be safe for most patients, if used correctly. Dr. Jerry Kronquist is certified in Conscious Sedation therapy and has extensive experience using various sedation techniques. In addition, he will discuss your medical history and current medications prior to your procedure to determine if sedation dentistry is safe for you. What can I do to prepare for an appointment using dental sedation? Depending on the type of sedation you decide upon, there are different ways you will need to prepare for your dental appointment. Inhaled sedation is the easiest method to prepare for. While there is no fasting requirements for nitrous oxide, it is recommended to avoid eating for 2 hours before the procedure to avoid possible nausea or vomiting. For oral sedation, you may be advised to take the medication the night before your procedure as well as the morning of your procedure. You will need to avoid eating or drinking anything 6 hours before your appointment. You will also need to find someone to drive you home after your appointment. 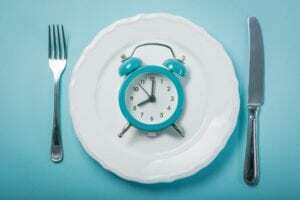 For IV sedation, you will be unable to eat or drink anything 8 hours prior to your appointment. Because of this, most appointments using IV sedation are usually scheduled in the morning. You may also be told to avoid taking certain medications the day of your procedure. You will also need to find someone to drive you home after your appointment. How will I feel while under dental sedation? Generally, while under the effects of dental sedation you will feel relaxed and drowsy. You will also be unconcerned with what is happening around you. Additionally, each sedation method can have their own variation of these effects. Nitrous oxide, for instance, can also produce feelings of euphoria. Both oral and IV sedation have the possibility of putting you into a light sleep, however you can easily be awakened and responsive. What should I expect after dental sedation? Your expectations after dental sedation depend upon which method of sedation used during your procedure. For inhaled sedation, the effects will wear off soon after you stop inhaling the gas. With inhalation sedation, most patients are able to drive themselves home after the procedure and experience no residual effects throughout the day. The sedation effects of oral sedation will only last 1-2 hours, however there can be residual effects that will continue to last throughout the day. Because of this, it is usually required that you have someone drive you home after your appointment. You may also want to take it easy for the rest of the day. IV sedation offers the deepest level of sedation and has the greatest amount of effects after its use. With IV sedation, it is required that someone drive you home after your procedure and monitor you throughout the day. You will most likely feel out of it for the remainder of the day and it is recommended you take it easy. Most people who use IV sedation do not remember their procedure or have very limited memories of it.